My professor is a bit kooky (sp?) and I love it. 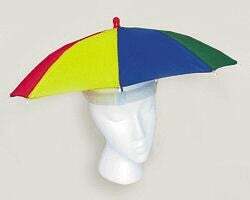 My Social Psych professor is wearing a rainbow umbrella hat with a lovebird on her shoulder. I LOVE her!